CloudChoice in FETC2018 Tradeshow with Hippo Video in USA. Not so long ago Hippo Video partnered with CloudChoice Inc. Hippo Video decided to expand their horizon till Niagara Region. Along with our partner we decided to make a mark in #FETC 2018. There could be no better place than FETC2018 tradeshow to showcase the abundant scope offered by the Hippo Video. We were thrilled to show how we can positively impact the world of education. 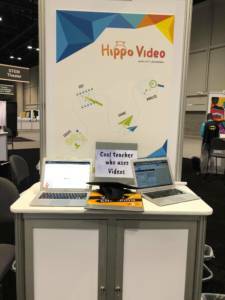 FETC’18 gave us the time and space to establish how Hippo Video can help create an interactive classroom experience. So around same time past January 23rd to 26th was the most happening culmination of technology and teaching fraternity. Eileen Belastock – Director of Technology for Mount Greylock Regional School District in Willamstown Mass., was at our Kiosk. She shared her experience in her article about the tradeshow. She is impressed with Hippo Video and mentioned about her interaction with us. “….This interactive interface provides so many possibilities for both synchronous and asynchronous learning”. We are happy to be part of revolutionizing the field of education. For who missed us in FETC2018, here is another opportunity. Let us recoup again at Spark Niagara. Inviting all teachers, tutors, professors and technology enthusiasts to our event which is all about “Creative Education” sponsored by Hippo Video on February 8th. 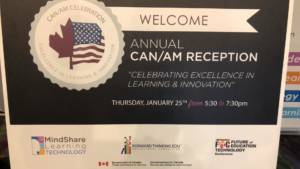 The focus of the event will be to empower the teaching community with new interactive technology. We are eager to demonstrate how Hippo Video can enhance teaching experience and improve student success. Look forward to a fun-filled evening packaged with creativity, erudite brainstorming sessions, and meeting up with the educational fraternity and certainly some fine refreshments for fine people. We have to tell that the seats are limited so click here to grab your spots.